The upgrading of the Complex Fabrications department at Rolls-Royce, Hucknall has brought together under one roof a number of departments to create a world-class manufacturing facility for the aerospace and marine activities of the Hucknall site, which over the years has been at the forefront of engine development within Rolls-Royce. 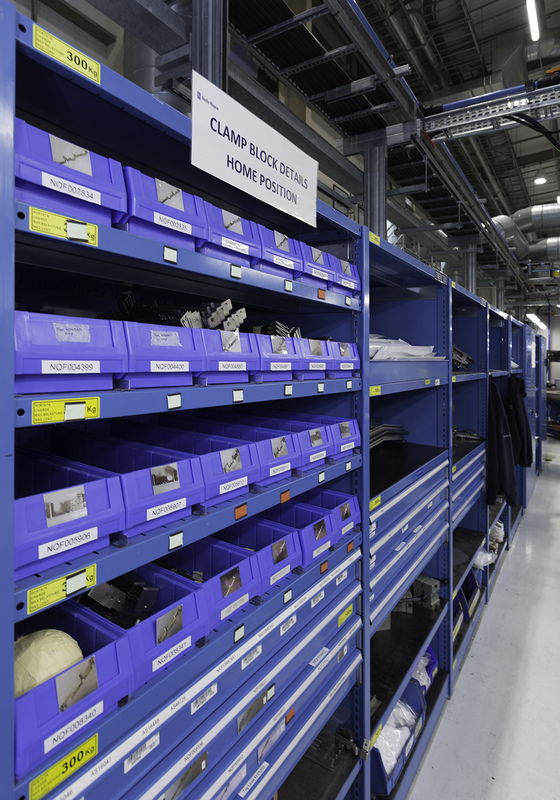 One of the key elements in ensuring that this new, updated, facility operated as efficiently as possible was the introduction of standardised storage for work in progress and also tools for individual employees. 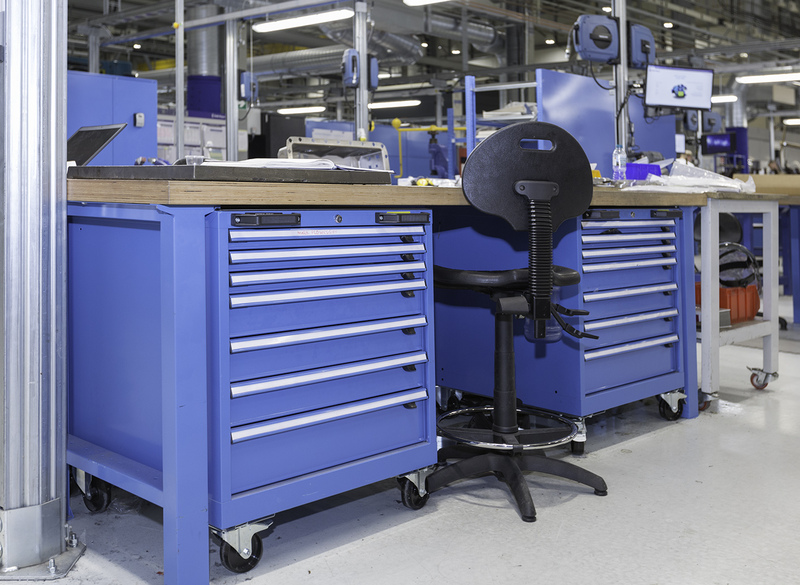 Having worked with System Store Solutions on a previous project in Hangers 8 and 10 at Hucknall, which had seen a major installation of cabinets, workbenches, and racking, Manufacturing Manager Chris Comery had little hesitation in renewing that relationship. “We spent time, as you would expect, planning the layout of the Complex Fabrications facility and part of that planning was to standardise on storage. 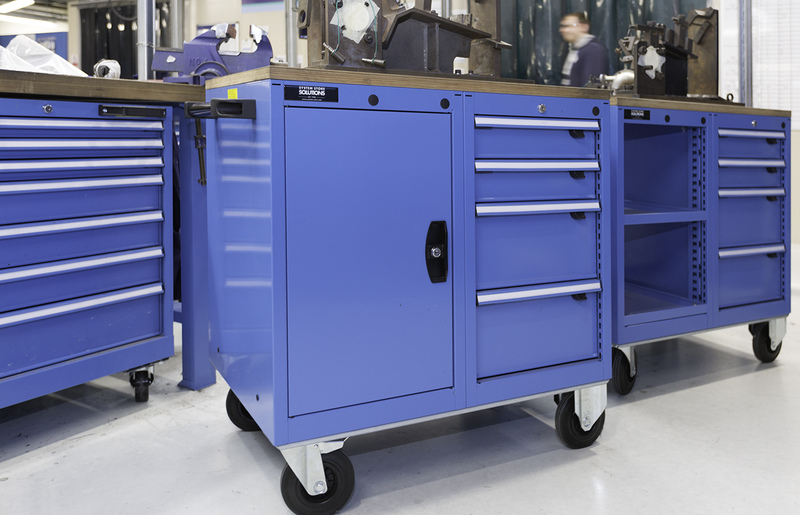 We had a collection of old toolboxes and racking, which was far from where we wanted to be, so the opportunity to work with System Store Solutions again, to deliver a fresh, efficient workplace was welcome.” The project involved installation of workbenches, under bench storage for individual employee tools and equipment, racking for work in progress, as well as cabinet storage for equipment needed for machinery such as CNC Press Brake tooling. 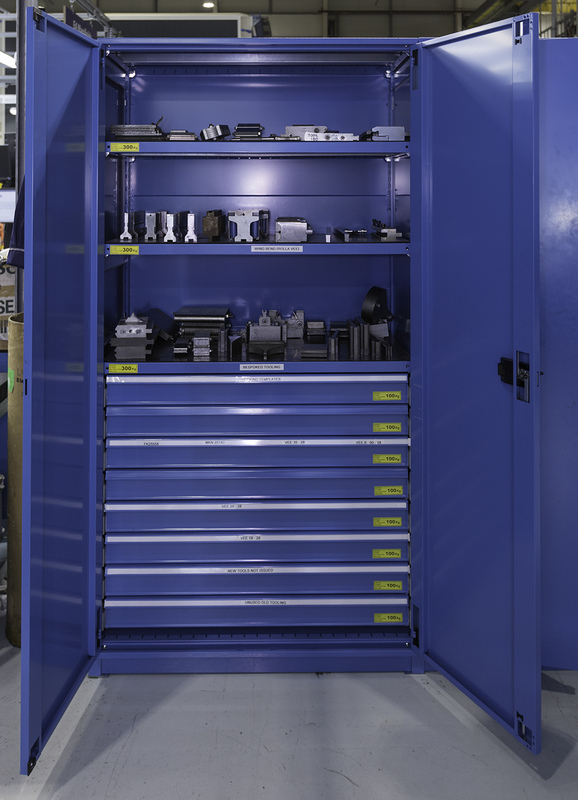 Such was the impact on efficiency that the new storage systems brought to the Complex Fabrications facility, that Chris Comery and his team extended its use to the supply chain for the facility. 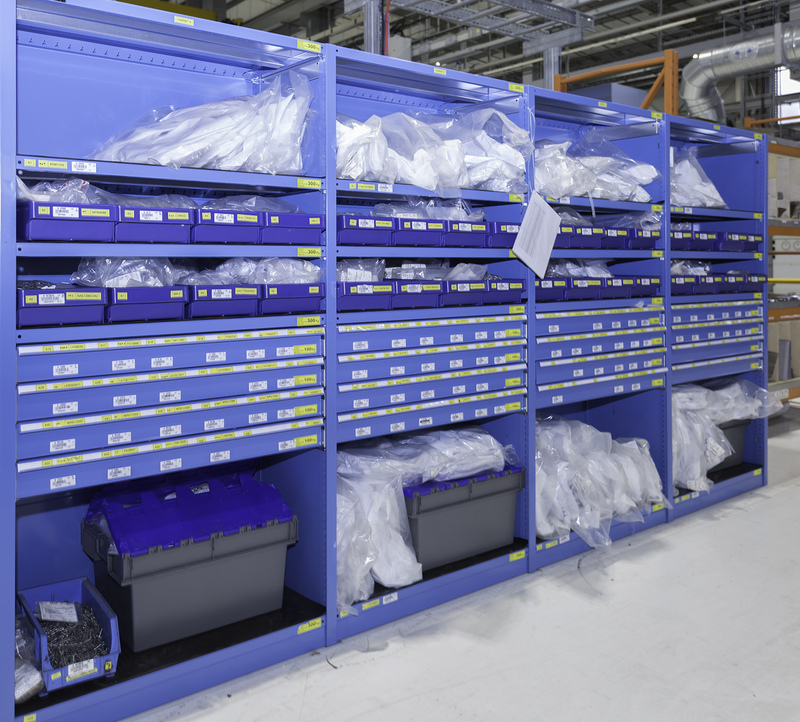 Continuing the standardisation of storage systems made perfect sense and Pattonair, a supplier of vital consumable parts direct to the shop floor at Hucknall has also invested in racking provided by System Store Solutions. This has been installed on-site at the Complex Fabrications facility and is making part identification and stock management much simpler.